Many of us love life…but we get caught up and frustrated with our culture….frustrated with apathy, frustrated with selfishness, frustrated with the fakeness, frustrated with the monotony, frustrated with feeling drained, frustrated going through the motions, frustrated with complaining and the divisiveness of culture….we’re just frustrated with culture. 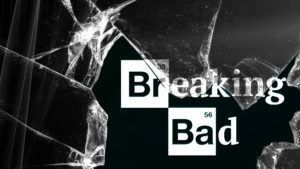 Breaking Bad is all about diving deep into a better culture. It’s about embracing God’s Kingdom culture and breaking the bad that we’ve embraced within our culture.